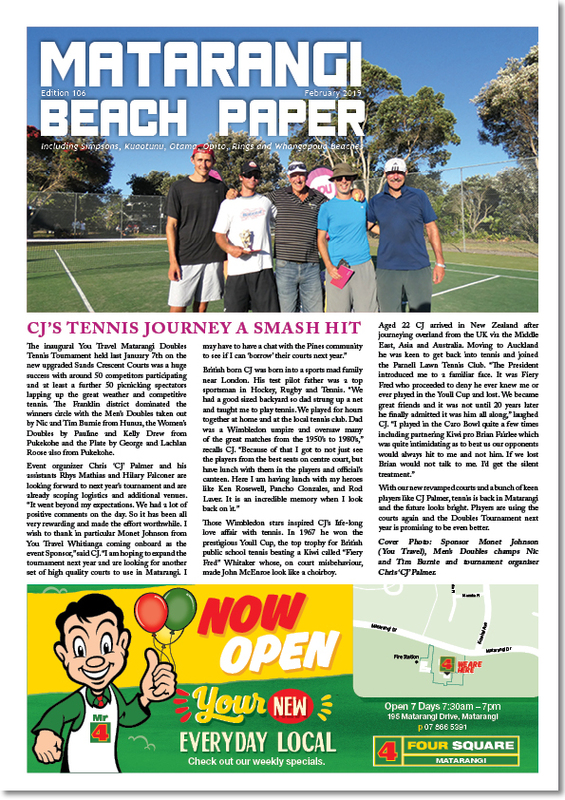 Welcome to The Matarangi Beach Paper your monthly publication covering the beautiful Northern Mercury Bay area of the Coromandel Peninsula. In each edition we hope to enlighten you to the various views and opinions of our contributors and to let you know about some of the fantastic things that have been happening in the local area. 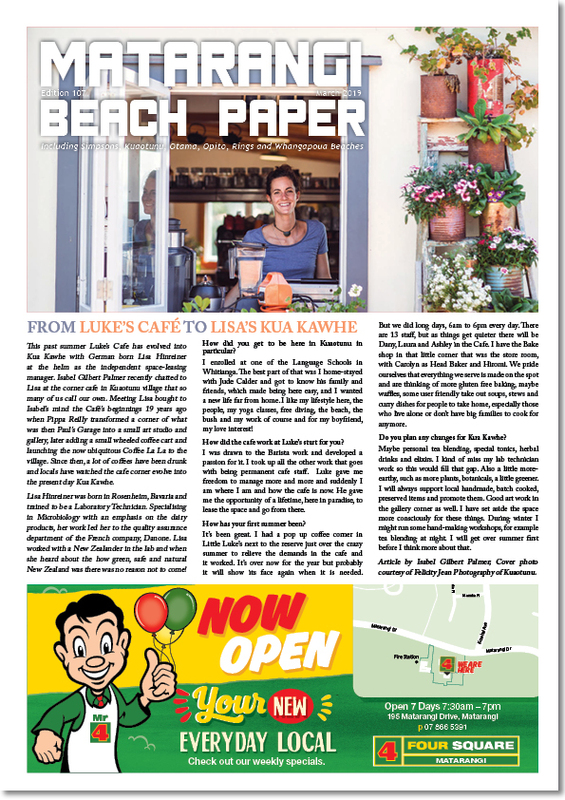 The Matarangi Beach Paper is a monthly ‘Paperzine” – a hybrid between a newsprint publication and a magazine. Unlike newsprint, but like a magazine, it has a long shelf life. 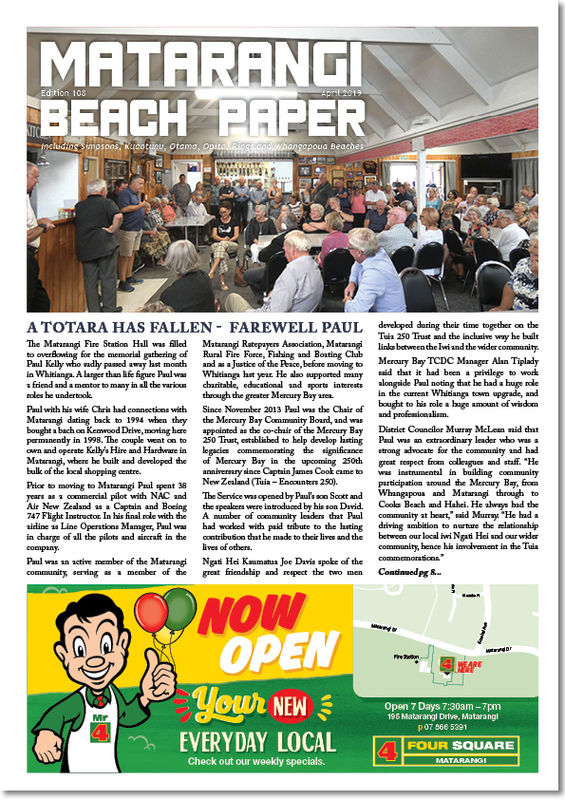 The Matarangi Beach Paper is even saved and collected by many readers, whom have kept all editions since it was started seven years ago as a simple four-page newsletter. That is great for readers who will pick it up off the coffee table and reread it, and significantly for those loyal and valued advertisers whose adverts have greater staying power. The readership is indeed diverse as each small beach community has its own local vibe and character, history and personalities. But what is surprising is the growing online readership of bach owners who live not just outside the area, but in such far-flung places as Chicago, Nagoya and London! The Matarangi Beach Papers is here to keep everyone informed, entertained, connected and engaged whether you live on the Coromandel permanently or just spend your holidays and weekends here.